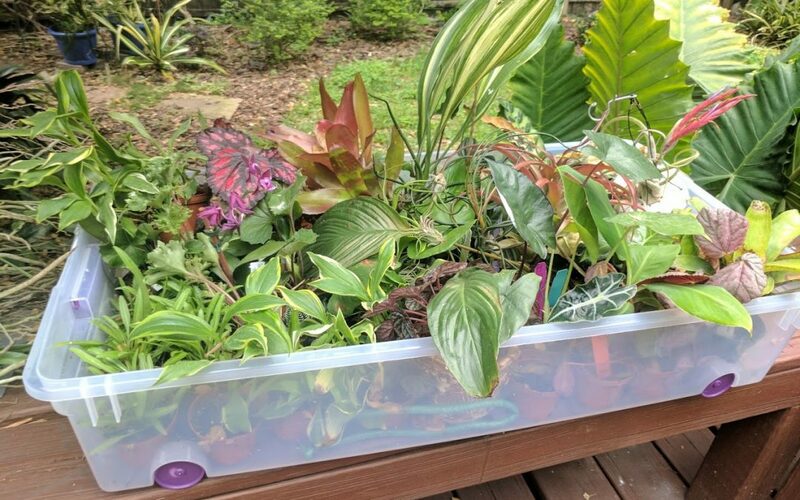 Moving plants, or should I say, moving with plants? 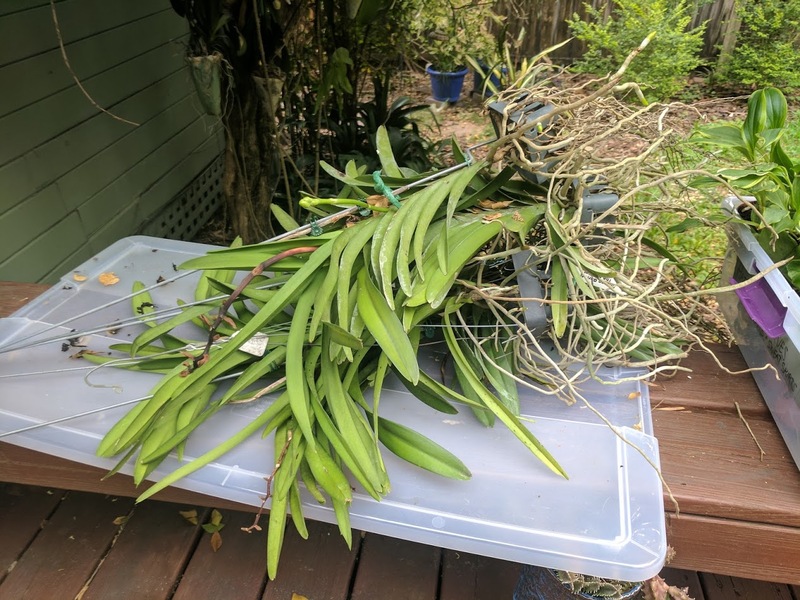 Moving itself is a torturous experience, but combine that with fretting about how you will move your great plants collected over the years and you’ve got your hands full. I am happy to write that Mike and I are now settled in to our new Zone 5 (okay, maybe 4) home in Iowa. It was very tough to leave our friends and careers in Florida, but we are excited about this new adventure. 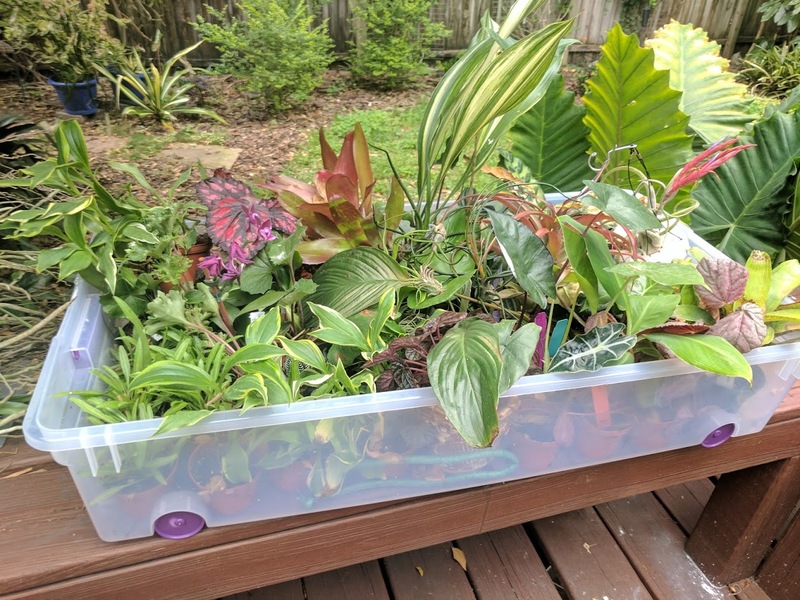 I know this sounds crazy, but I was very stressed out about my plants and what would be able to move with us and what would have to be left behind. 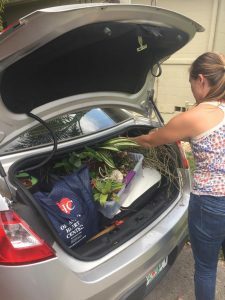 I established very early in our moving process that I would require one large Tupperware container to go in the trunk of the car we were driving. A moving truck would take our household items, but we would be making the twenty hour drive with our two dogs and kitty all in the car. Believe it or not, I think it was very important to establish this expectation early so that when it looked like something was going to be left behind it wasn’t my plants. Moving plants from Zone 9 to Zone 5 requires some thought. We were in the thick of “plant sale season” in Florida as we approached our move, and although it killed me not to by things for our yard, it did limit my purchases to small plants in 3-4″ containers. See the container here? It was jammed full of many small plugs and small pots of plants. The only thing that didn’t make it was the bat plant, Tacca integrifolia, which died a slow death when we got to our new home. I decided the vanda orchids were an easy “yes” when it came to moving plants. Due to their epiphytic nature, they are grown on wire hangers, sometimes with a small basket, but are generally a two dimensional plant. I was able to lay these out on top of each other a tuck them into that last remaining cavity in the top corner of our trunk. I felt like I was really starting to get the hang of growing these in Florida so I will keep my fingers crossed that they are successful here. Some things were too bulky to include in our car, so I took the risky move of sending them in my car being shipped. Risky? Yes, there was a two week delivery window and it is hard to say in early April if the plants in here would be toasted when they arrived or not. The good news is that the terrariums, succulent topiaries and “pot heads” all made it in five days in good condition. I started taking air layers of many of my favorite plants several months ago but very few of them were ready to go. I am hoping that when we visit later this summer they will be ready for a delayed move to Iowa! Will all of these plants survive here, even as houseplants? Probably not. Moving plants always involves finding the right new place for these plants and with such a big change it is hard to say how everything will grow. Some of the smaller plants will be enjoyed this year as tropical annual color and add a great touch to our new gardens. Stay tuned for updates on our new Iowa garden! Things like apple trees, asparagus and hostas are all making their way into our new home. Ahhh.